A 25-year-old Rocky Mountain Maths teacher is accused of having inappropriate sexually related contact with three students, a police report shows. On May 5, Rocky Mountain police were notified by administrative staff from Rocky Mountain Preparatory School of the possible inappropriate relationships involving Erin Elizabeth McAuliffe. McAuliffe was a maths teacher at the school, located at 3334 Bishop Rd. The school confirmed she was last employed at the school on May 4. At that point, police started an investigation which involved interviewing multiple students and faculty members. 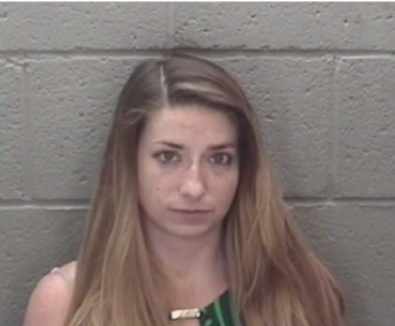 Warrants were served on McAuliffe on June 8 and she was charged with three counts of sexual activity with a student and one count of indecent liberties with a minor. Police said two of the students are 17 years old and the third is 16 years old. Police said the incidents occurred off campus. Dayvon Steel graduated from the school last year. He called it a good school with supportive, caring teachers. “It’s very shocking and appalling that a person would do that with a student,” he said. McAuliffe was held in the Carteret County jail under a $20,000 bond. Records show she has bonded out. She’s scheduled to appear in Nash County District Court June 12.